To celebrate the Tally Ho Farm Polo Festival 2017, on Saturday 5th August, we will be hosting a Welcome BBQ & Drinks in the Clubhouse from 5:30pm. Live music by the local Irish talent, Eddie Kennedy, performing a selection of folk songs throughout the evening. Tickets for the BBQ can be purchased on the day for £5 each, with drinks available as usual from the bar. All Polo Festival Players can collect their 2 complimentary BBQ tickets from the bar on the day. 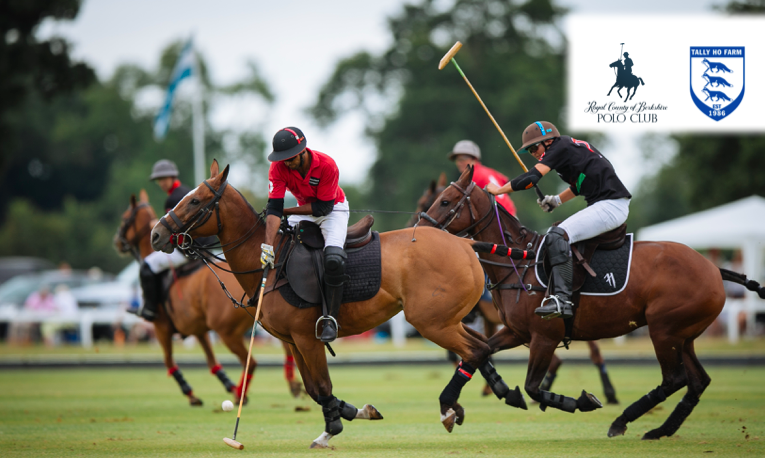 All players in the Polo Festival will receive two complimentary General Admission tickets. RCBPC Members also receive complimentary General Admission with current Car Stickers and Members Badges. Picnic parking spots are also available, these must be purchased online in advance.